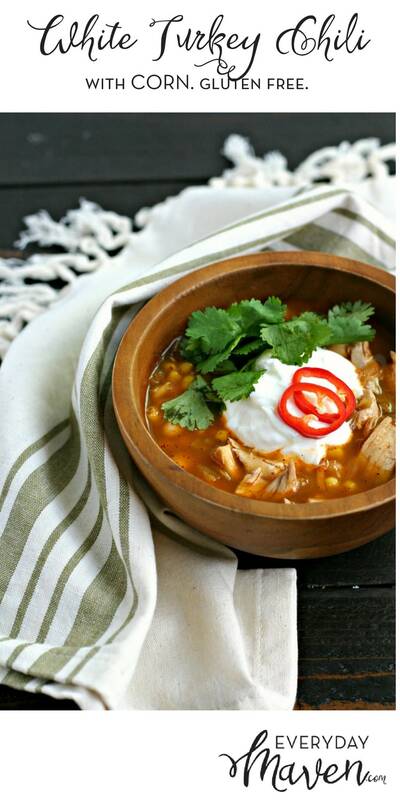 This White Turkey Chili with Corn is the perfect way to use up leftover holiday turkey meat. 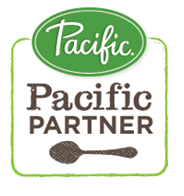 It’s naturally gluten free and tastes even better the next day! It seems like last week was 80 degrees and next week is Halloween. Well, I hate to break it to you but Thanksgiving is only ONE month away and you know what that means? Turkey. Specifically, leftover turkey. 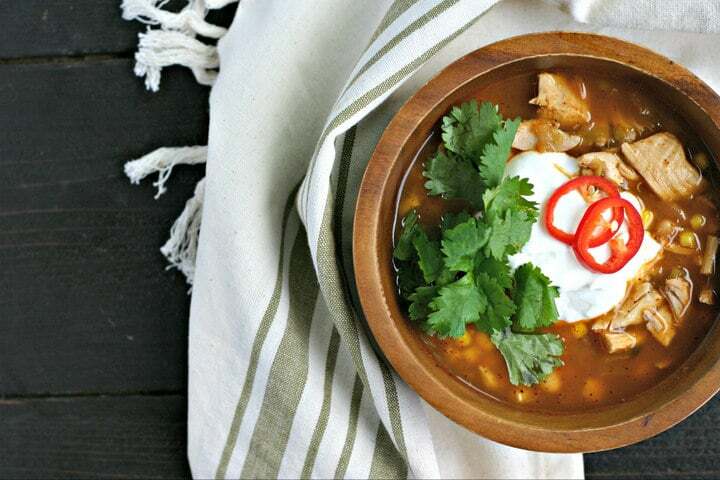 This White Turkey Chili is the answer to all of your leftover turkey problems. 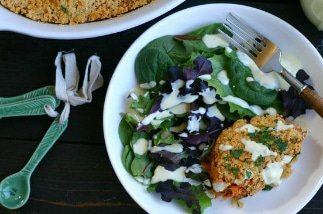 It’s easy to make and most importantly, you don’t need a lot of extra ingredients – because who has room for that when you are getting ready for Thanksgiving. If you have a lot of leftover turkey, you can easily double the recipe. It freezes beautifully! 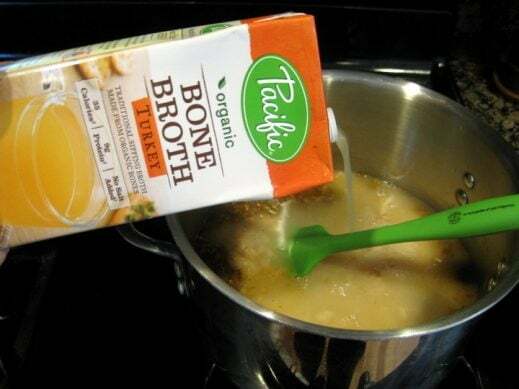 The key ingredient is obviously turkey meat but after that, it’s Pacific Foods Organic Bone Broth Turkey. 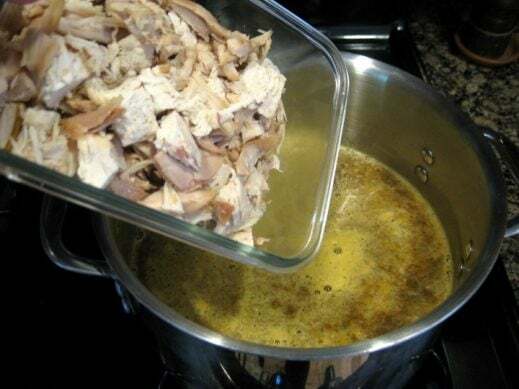 Now, don’t get me wrong, I almost always make some type of homemade stock or soup with the turkey carcass but that takes all day and I usually want some leftover turkey soup the day after Thanksgiving, not the day after the day after if you know what I mean. 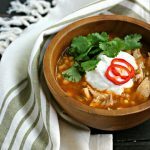 This chili is naturally gluten free and dairy free if you don’t use Greek yogurt or sour cream as one of the toppings. As for the beans and corn, they give it body. 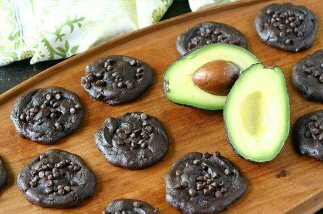 You can certainly scale back on both if you want a lower carb option. Oh, and one quick note about the heat. I tend to like spicy foods and I found that 1/2 of a large jalapeno made this too spicy for the kids so I recommend starting with just a little jalapeno if you are spice-adverse or want to serve this to kids. You can always add hot sauce later! 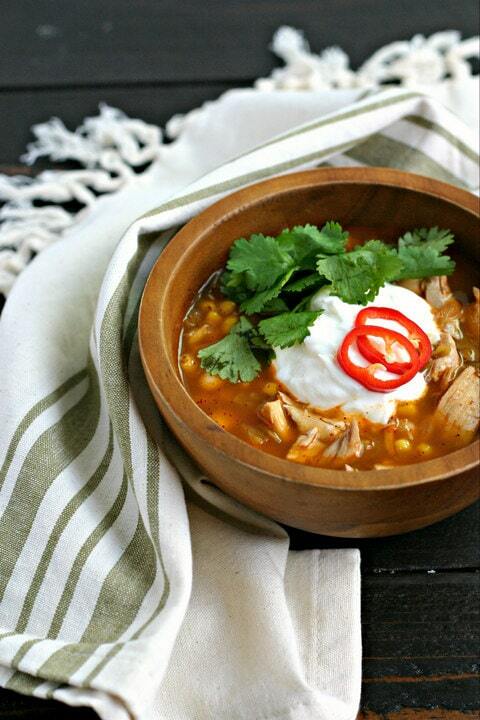 This White Turkey Chili with Corn is the perfect way to use up leftover holiday turkey meat. 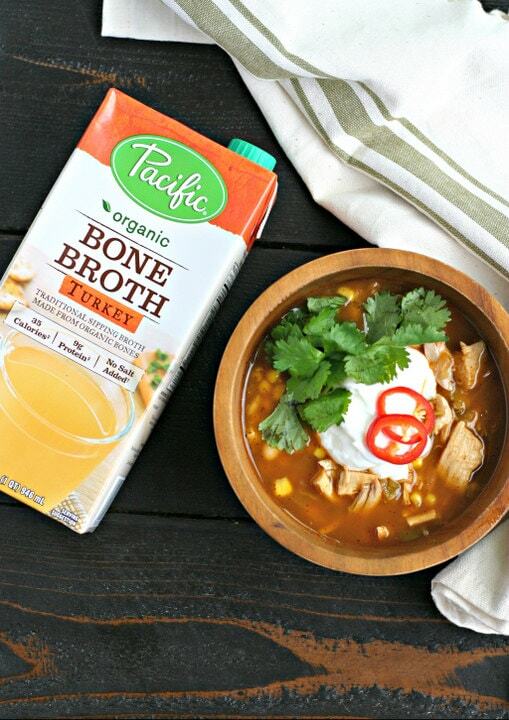 It's naturally gluten free and tastes even better the next day! 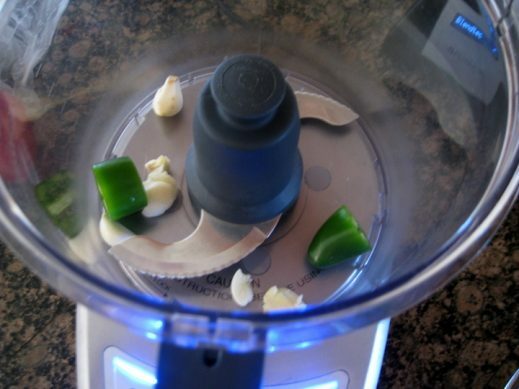 Finely chop garlic and jalapeno. 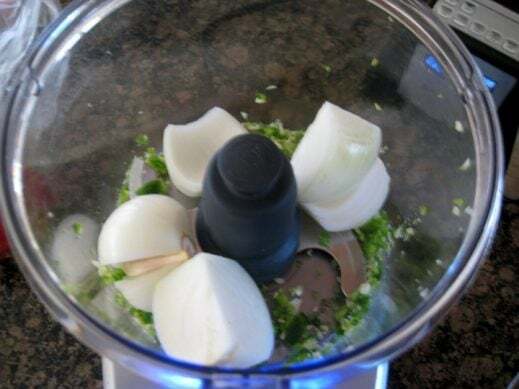 If you have a food processor and want to save time, toss them into the bowl fitted with the chopping blade. 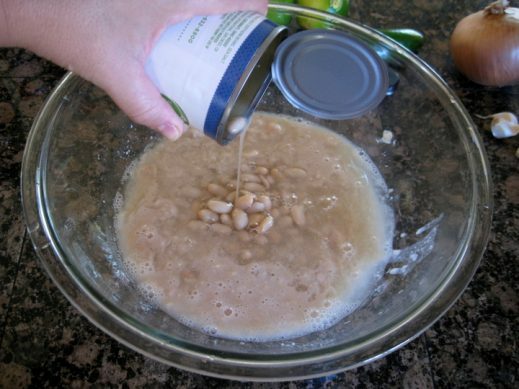 Open can of diced chiles, measure spices onto a small plate and open both cans of white beans. 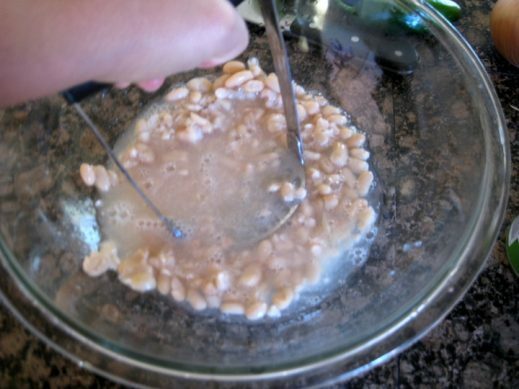 Pour one can of beans and bean liquid into a bowl and use a potato masher or fork to mash until very chunky and most of the beans are smashed. 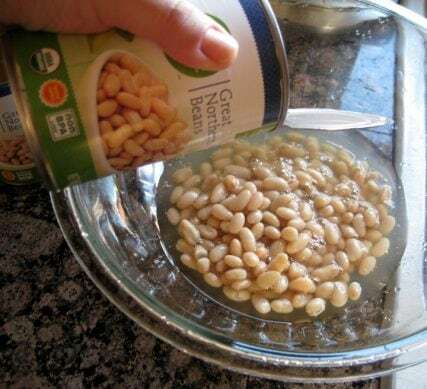 Add remaining can of beans and liquid to bowl and set aside. Cube turkey and weigh 12 ounces. Measure 1 cup frozen corn kernels. Heat a large soup pot over medium high heat. 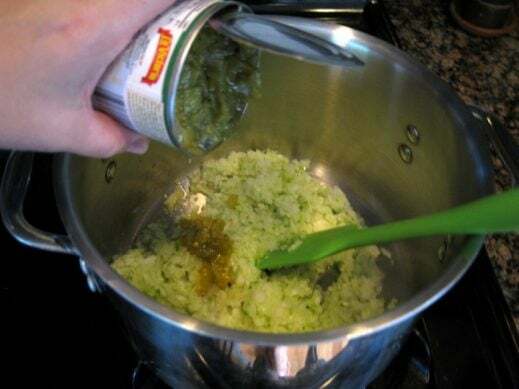 Once hot, add oil and then chopped onion, garlic and jalapeno along with can of diced green chiles. Cook 4 to 6 minutes, stirring occassionally, until onions have softened. Add spices and continue stirring for aprrox. 1 minute until spices are fragrant. 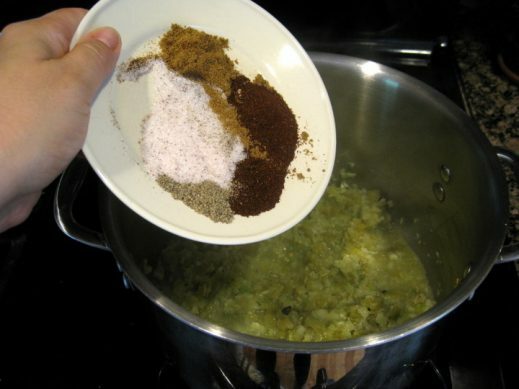 Add beans, broth, and lime juice and bring to a boil. Once boiling, add cubed turkey meat and frozen corn kernels. Cover, reduce heat to a simmer and continue cooking for 15 to 20 minutes. Nothing excites me more than chili season!! This looks so good! 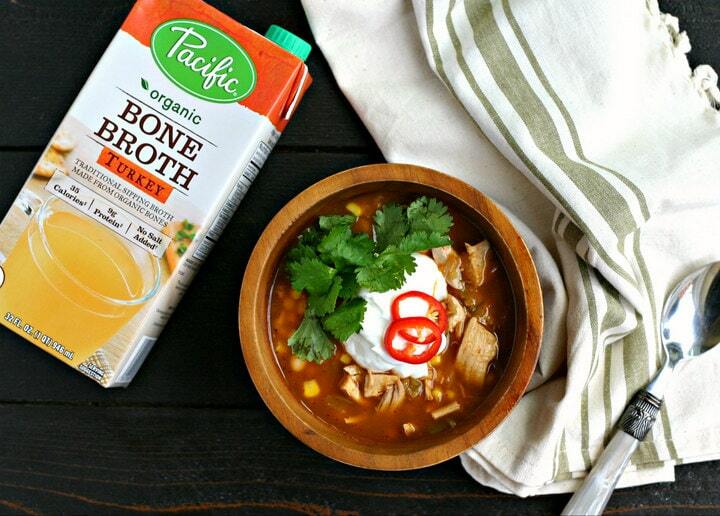 I love a good, spicy chili–especially on that puts leftovers to good use! In Ireland, so am wondering if white beans are the same as cannellini beans? Looks a very nice recipe and the fact that the turkey is not minced… fab!!!! Yes, they are the same. I plan on making this with rotisserie chicken until we get to Thanksgiving. Yes, the are inter-changeable. Hope you love it!